Summer is almost here and what could be more American than a road trip? It’s time to pack the car, grab a cooler and hit the road. With thousands upon thousands of miles of country to see and explore, choosing which scenic byway to travel is no small feat. There are the obvious ones to be sure – Route 66, the Pacific Coast Highway, Utah’s Highway 12 and the Blue Ridge Parkway to name a few. There’s even Maui’s Road to Hana. But what about the last frontier, Alaska? When it comes to exploring the 49th state, most people take to the water for an Alaskan cruise. It’s the glaciers and polar bears that grab the imagination. But as not only the largest but the least populated state, Alaska is ripe for a road trip, offering up miles of pristine forests, rugged snowcapped mountains and some of the best wildlife spotting to be had. And, bonus points, the summer months bring not only warmer weather but stupendously long days – it’s light nearly all night long between late May and late July. So hop in your Enterprise Rent-A-Car and let’s get going. Denali Park Rd (McKinley Park to Kantisha). Due in part to the abundance of wildlife (most of it not of the cuddly variety), you can’t drive your own car past Mile 15. But drive until you can catch the hop-on, hop-off shuttle or a tour bus and get ready to explore the country’s third largest national parks. Turnagain Arm Drive. 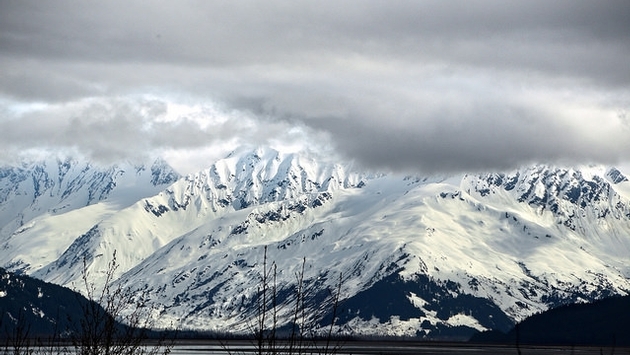 This section of the Seward Highway has been called one of America’s most scenic drives. It slices between Chugach State Park with its towering mountains on one side and the flats of Turnagain Arm that stretch out to Cook Inlet on the other. Old Glenn Highway Scenic Drive. Sometimes the road less traveled makes all the difference (Robert Frost knew of what he wrote), and the Old Glenn Highway is no exception. Passing through bucolic farmland and past state parks (and petting zoos), this 19-mile stretch of scenic byway lies along the connector between Anchorage and Palmer. Nome-Teller Highway Scenic Drive: Drive along this 73-mile scenic highway northwest of Nome to visit Teller, a village inhabited by approximately 300 Inuits, who eke out subsistence livings. At one point, this highway runs just 55 miles from Russia (You can see Russia from your car! Well, almost). Nome-Council Highway Scenic Drive. Running east of Nome, this 72-mile stretch of highway runs past the Bering Sea before turning inland and heading toward the town of Council and the Last Train to Nowhere, where three steam locomotives are slowly sinking into the soggy tundra, relics of an ill-advised project dating back to the Gold Rush. Dalton Highway. Begin just north of Fairbanks, drive north and some 414 miles later there you are at the Gates of the Arctic. Along the way, you’ll pass mossy bogs, streams and gently rolling tundra, the ever-present oil pipeline and wildlife. Lots of wildlife–if you’re lucky you may see grizzly or black bears and caribou. You will almost certainly see migratory birds, millions of which comes to the Arctic National Wildlife Refuge to nest. Be aware that the road is mostly gravel and ruled by the 18-wheelers that run goods and lumber back and forth and services are few and far between. The reward, however, is spectacular scenery and the chance to dip your toes in the Arctic Ocean.